Whalehead is a beautifully restored 1920s Art Nouveau style residence that is open to the public for museum tours. 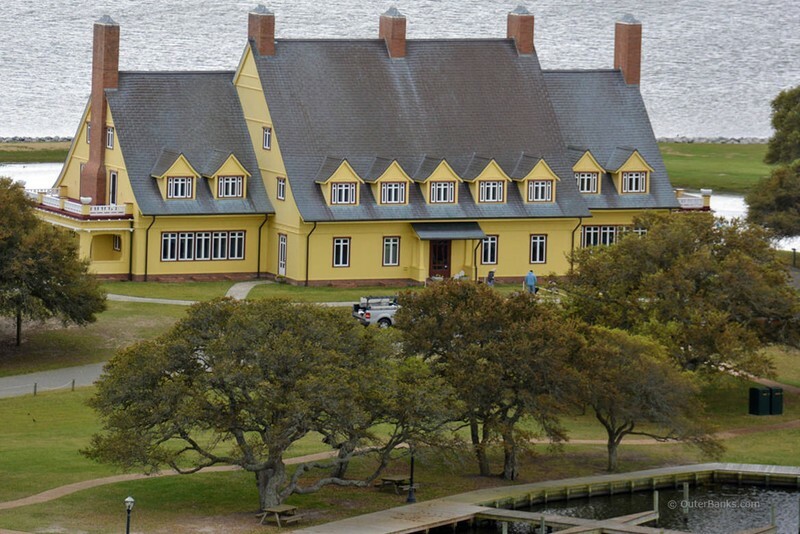 The grand residence, harkens back to a 1920’s past in Heritage Park, dressed in bold yellow and striking copper, stands in Historic Corolla Park and overlooks the Currituck Sound. The Whalehead invites visitors to experience its intriguing past and hear its fascinating story. The fascination begins as you step back in time to an era reminiscent of prohibition and women’s rights. Learn about the life and times of the wealthy Knights who spent winters in Corolla hunting, relaxing and entertaining in this lavish cottage. The day to day way they lived, the guests that visited, the dinners that were served… it is a story that lives on in this beautifully restored mansion. Like all great histories, like all great romances, it is the element of mystery that attracts people to Whalehead in Historic Corolla.